For family picnics and outdoor meals, for sitting and relaxing in the open air, or just for enjoying the scenery, a picnic bench is exactly what you need. For premises that include outdoor areas, park spaces, or places to enjoy a fresh breeze, they are exactly what visitors expect. Make your outdoor space five times as inviting by providing plenty of outdoor seating. 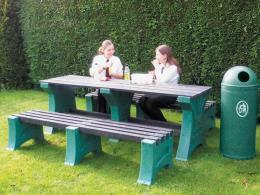 The Picnic Table and Bench is the perfect choice for picnics and eating outdoors. It’s environmentally friendly and made from recycled materials. It requires zero maintenance, is easy to clean, and hygienic. It will also withstand all kinds of weather. 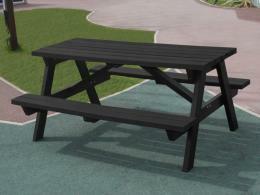 For a classic look, try the Wooden Picnic Bench. It’s made with timber from sustainable and renewable sources, so it’s another environmentally friendly pick. It will seat 6-8 people and is built for long-lasting use. 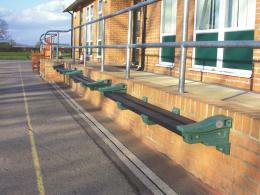 Just a few options for outdoor seating include the Wall Bench, which is supplied with fixing bolts for mounting to any wall. It’s streamlined, vandal-resistant, and made of environmentally friendly materials. Another choice for the environmentally conscious is the Park Seat, which is available in a multitude of colours and is a sturdy option. We also stock seating just for children, such as the Playground Seat. It will seat 12-14 children and is sized just for them. 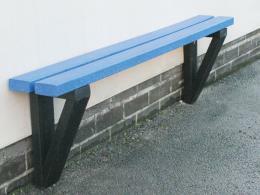 Park benches from The Workplace Depot all come with a standard one year warranty, including parts/labour. 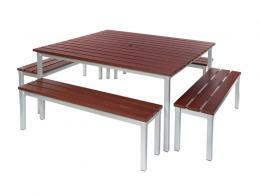 The Mahogany Square Table and Outdoor Bench in particular both come with a longer 5 year warranty. Free delivery is offered for all orders placed with us. 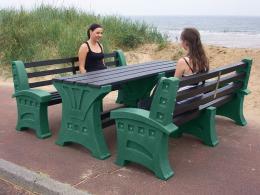 Order with us today to check out our entire selection of park benches and make your outdoor spaces great.